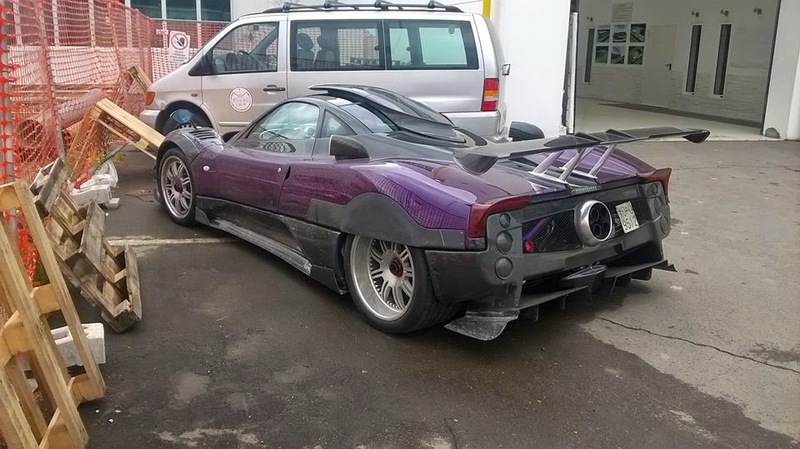 The Zonda ZoZo reveals itself more special than you thought. 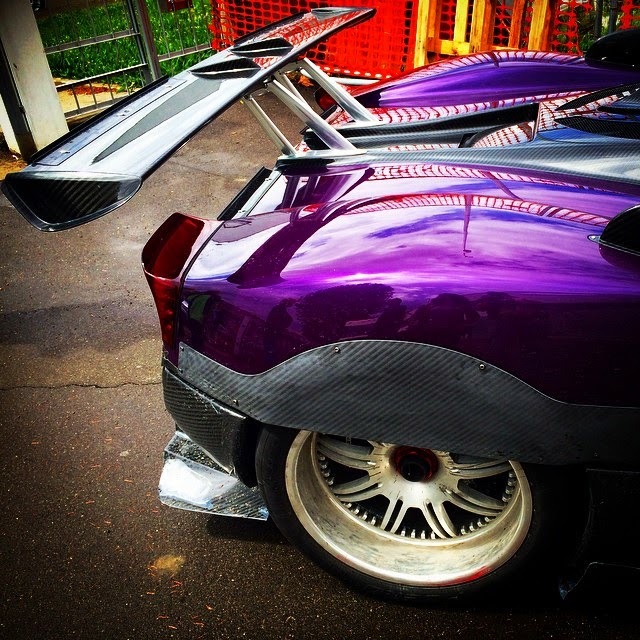 Yesterday some new pictures of the car were published on Instagram. The car was pictured in phase of test in front the new factory. These pictures show that the car has been equipped with a new stylistic feature. The car shows on the rear wheel arches lower fenders that in part cover the wheels. Those elements remind me to the Le Mans Group C prototype jaguar XJR 9 "Silk Cut". Another news about this car i related to the front bonnet, as you can see from the pictures, the car features some additional elements on the central part of the bonnet. All of these characteristics have never been seen before on a Pagani. The car has a new carbotitanium chassis, it features all the 760 specs and it's quite similar to the Zonda 760 LH. The main difference can be seen at the rear end, the car features two additional red lights above the standard lights(which are blackened), these, have been inspired by early Zonda R renderings from 2007. As you can see the dorsal fin is missing, I don't know if it will be mounted in the future but I don't think so. For the moment the car is almost finished, from the pictures you can notice the matt grey test wheels and that the car is wrapped by a protective films. The car will be probably delivered with dark wheels which perfectly match with the purple brake calipers and the rest of the body. 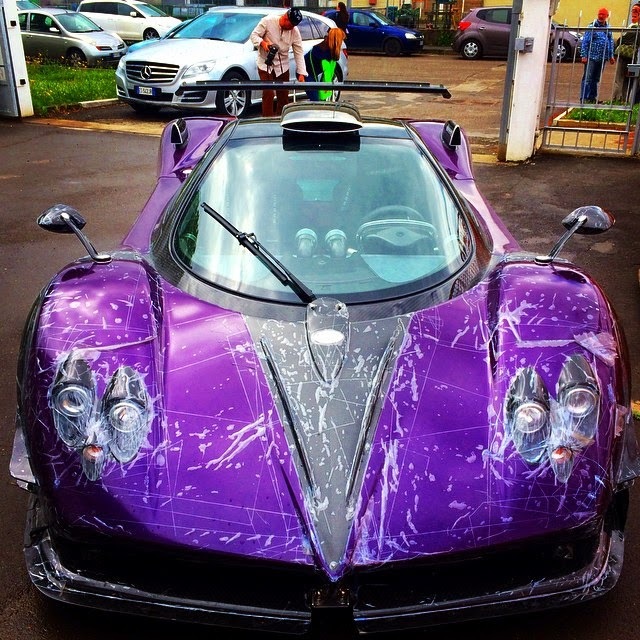 The car will be delivered in Japan by the Pagani dealer Bingosports based in Tokyo.